Home » Box Office » Tanhaji Box Office: Will It Continue Padmaavat & Uri: The Surgical Strike’s BLOCKBUSTER January Streak? Now with the recent announcement of Ajay Devgn’s Tanhaji releasing next Jan, will it continue this streak? Tanhaji Box Office: Last 2 years indeed witnessed a Blockbuster beginning. 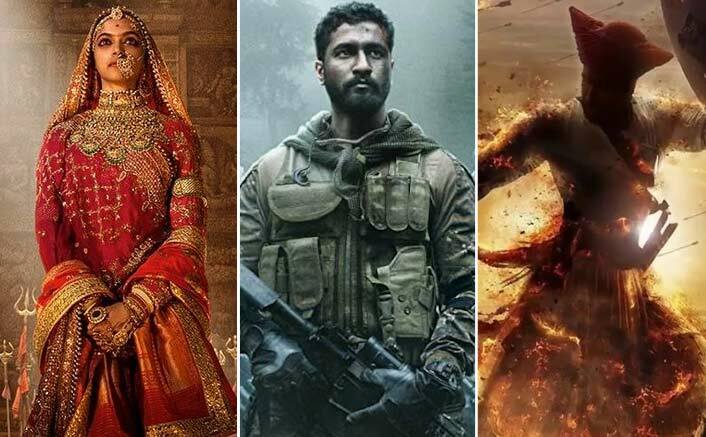 With 2018 that saw a magnum opus like Ranveer Singh & Deepika Padukone’s Padmaavat shinning bright, 2019 gave in some serious yet overwhelming shocker with a low budget movie like Uri: The Surgical Strike creating some huge records at the box office. Now with the recent announcement of Ajay Devgn’s Tanhaji releasing next Jan, will it continue this streak? Padmaavat after surpassing various obstacles and controversies, released on January 25th, 2018 (an extended 4-day weekend). It opened up to an impressive collections of 24 crores (including paid previews). Moreover, the movie set the record for Ranveer Singh’s highest opening grosser and Deepika’s highest opening weekend with collections of 114 crores. This Sanjay Leela Bhansali directorial was critically acclaimed and gained a lifetime collection of whopping 300.26 crores. Uri: The Surgical Strike on the other hand was only made on a budget of 25 crores, and ended up connecting with the masses to unprecedented levels – the result of which is a massive collection of 243.77 crores* and certain cinema halls still witnessing footfalls! Isn’t that unbelievable? With a profit percentage of 875.08%, this Vicky Kaushal’s war-drama initated 2019’s January on a Blockbuster note. Now Tanhaji, a period drama based on the life of Tanaji Malusare, stars Ajay Devgn, Saif Ali Khan, Kajol amongst others. Going by the actors and their fan following, specially Devgn’s, this movie is going to be no less than another magnum opus. Moreover, Ajay- Atul’s music is a cherry on the top that we cannot miss out on. It will be seen whether the movie garners audience and critics’ praises, but we’re more excited to see whether it will continue the Blockbuster January streak. What do y’all think? Tanhaji, directed by Om Raut and produced by ADFL and Bhushan Kumar’s T-Series, will see a Jan 10, 2020 release. Planning to watch any recent movie in theaters? We’ve got you covered. Click here and enjoy exclusive cashback offers.